When do you think CAP will be switching to ABUs. The woodland is so outdated and bad at this point that Ive actually been mistaken for a Neo-Nazi. Most people seen to be saying we will get whatever the military uses next. Woodland isn't outdated, FYI. I know a lot of people that use it. In fact, I like woodland more than the new digies. I have a set of ACUs, and they are uncomfortable. Plus you can't iron them (according to an army recruiter) cause it messes up the IR scattering material. That said, if ABUs ever were aproved I'd like to be an "early adopter". But it does raise the issue of how strange it would look in formation. Half BDUs, half ABUs. This has been discussed on many other threads. Try doing a search on ABU, and looking at what's been said. Plus you can't iron them (according to an army recruiter) cause it messes up the IR scattering material. I like the non-ironing properties of the ABU, reduces my headache of things to do after my shift. But it does raise the issue of how strange it would look in formation. Half BDUs, half ABUs. No stranger than it does in the AF until 1 Nov 2011. 1. There much more expensive. 2. Woodland fits in with our (us) land environment. and third. 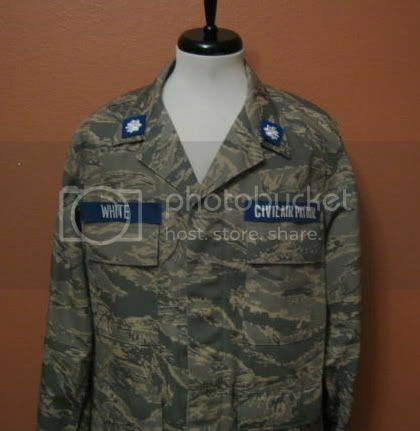 well i dont like the way they look compared to bdu's. 3. The USAF and US Navy still wear Woodland Camo. 4. Search is your friend here. Both are in phase out. Heh - so are ABUs. True. My last 5 deployments I have worn 5 different uniforms. Woodland, DCU, Desert Crew Coveralls, ACU's and ABU's. I hear we are getting Multicam our next trip. My garage looks like a surplus store. We'd been told back in the day that BDU's had IR hiding capabilities. I never really believed it until I was showing a family a TOW thermal sight at an open house, and we pointed it at a soldier on the other end of the armory. Face and hands were visible, the rest of him was missing. Non-soldiers showed up just fine. This troop had some well ironed BDU's on. I suspect whatever masking stuff is in the uniform, it's not going to be damaged or destroyed by simple ironing, washing, use, or whatnot. DARPA probably assumes that troops will do things the wrong way, and plan accordingly. Having checked AF Portal, the AF Uniform page and talked with my supervisors, I have found nothing to corroborate this from a reliable source. On a side note, the base commander here at DM has authorized everyone to wear BDUs on the last Monday of this month (in lieu of blues), however everyone must be in ABUs the following Tuesday. What makes you think that won't be approved? It meets the requirements of AFI 10-2701. It is distinctive in low light level conditions!!! I say that instead of CAP adopting a uniform that is distinctive in "low light" conditions, it would be much cheaper for the AF to buy a flashlight. was last Aug when the USAF started putting some of their people into Multi-cams. already on the wall for ABUs. They'll be gone before CAP is ever considered. Well when I took a quick look at pricing for the ABU's at the BX/MCC, IF you including everything you need to be wearing it correctly, it $250.00+ for one uniform package. I would think that most members have better things to spend their money on. Now granted the used & knock off markets might have some cheaper uniforms. I just fail to understand why this is such a burning issue with the membership . The BDU's are adequate, and for the senior members the "smart thing" to do is to just buy the Blue BDU's since it's unlikely it is ever going to change and there's a lot more flexibility on wear requirements. Because some of us think we should look like the branch that supports us. It's that whole auxillary thing.